In a country where illiteracy is high BCF along with other organisations from around the world are working very hard to help provide blind children with an education. 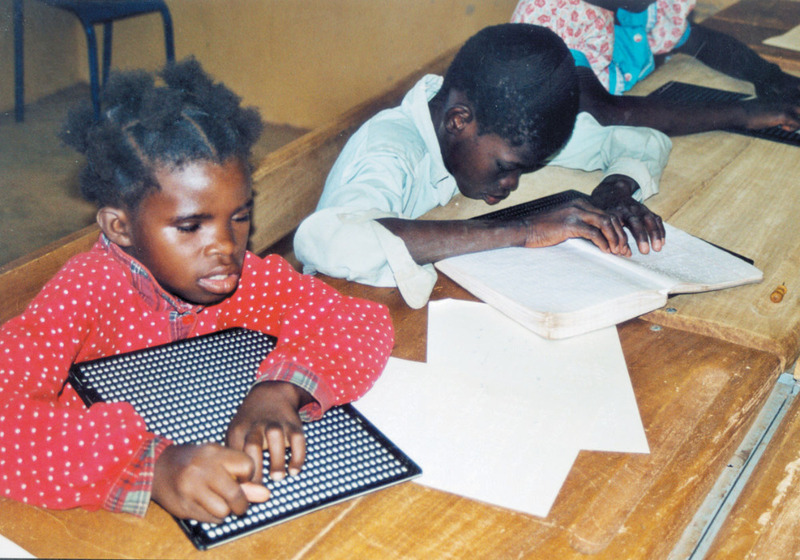 In every village in Burkina Faso, there exists an association of blind people. They come together to fight for their basic rights. They are all members of ABPAM and they all know about Association La Renaissance. They usually contact ABPAM first if there is a blind child in their villages who needs schooling. Obviously, ABPAM cannot accommodate all of them, but we do work hand in hand with ABPAM. We welcome blind children from all over the country, no matter their religion, gender or tribe. When a blind child comes to La Renaissance their sight is checked. In some rare occasions they only have cataracts and therefore medical advice is taken and the situation is dealt with.A foster family is then selected for those who are confirmed blind and do not have parents in the city. Each foster family gets £20/month. They are also entitled to enrol one child of theirs at the school for free.It is ensured that the children in foster care get a go od meal a day at the school canteen and healthcare is provided when they are ill. Their bus fares are paid in October to come to Ouagadougou and in July to go back home. It costs around £500 a year to take care of a blind child – foster care, healthcare, meals, school uniform, school materials, and bus fare.